Everyone is welcome at our Board Meetings. 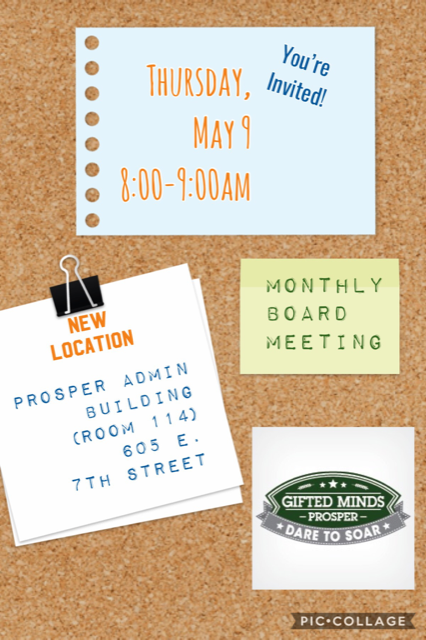 We will start with the Board Meeting and then finish with a positive chat about gifted and talented happenings in Prosper ISD. Held at the Prosper Administration Building at 605 E. 7th St (Professional Learning - 114).